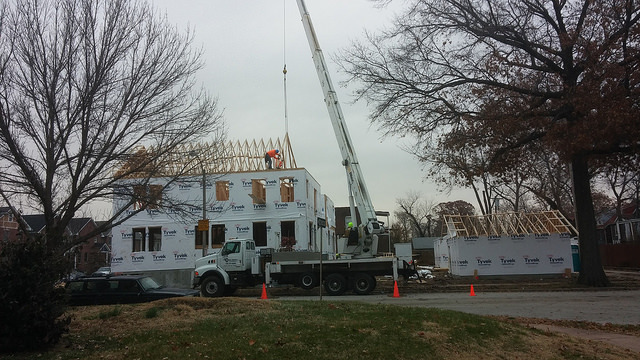 The build out of the 5700 block of McPherson in the Skinker DeBaliviere neighborhood is nearly complete. Only one empty lot remains. Like so many parts of our city, it was ravaged by the government-encouraged spreading out of our cities. By the turn of the century, over half the block was empty lots. The Jaffe Group, which completed Kingsbury Square to the north, assembled land from the LRA, the Skinker DeBaliviere Community Housing Corporation, and through private sales, and bought Chapter 353 development rights to redevelop the block. They planned to sell not just a house or two, but to market a community. The home design had to pass the Skinker DeBaliviere Historic Committee and the Cultural Resource Office with approval by the Preservation Review Board. 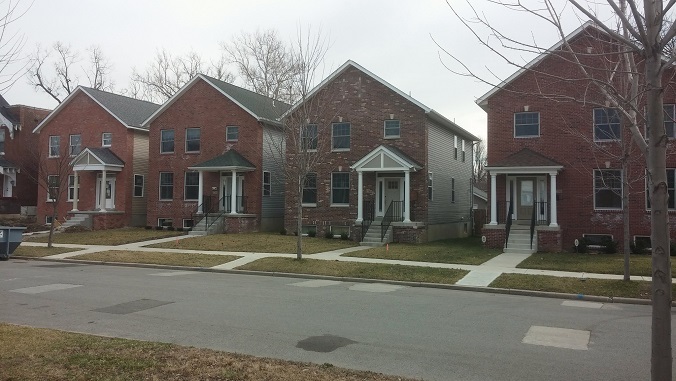 They built 32 new homes, the first completed in 2004, and two rehabs. The housing collapse in 2008 stalled progress. The downturn and a foreclosure on the block left other owners underwater. Jaffe “appreciated the confidence in home owners and the community” in sticking it out through the hard times. The last sold last October for nearly $500k, with an extra big garage, geothermal heating, and solar panels. About half the owners came from elsewhere in the region and half new to St. Louis. A surprise to Jaffe was how many families with children moved in. 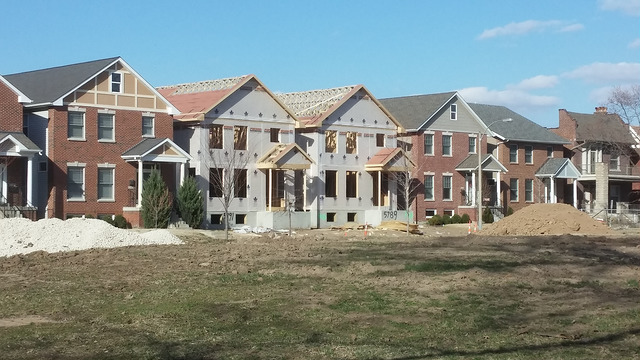 The first group of new homes received 25-year tax abatements, 10 years at 100% and 15 more at 50%. Since 2006 the new homes have received 10-year, 100% abatement. This is certainly an accomplishment to celebrate!